We're expecting magnificent foliage this year! 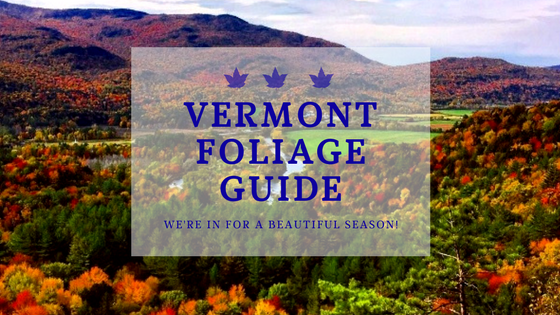 Fall is undoubtedly one of the most beautiful times of the year in Vermont. We're known to have some of the best, and most vibrant foliage in the entire nation! With the season quickly approaching, we're anticipating an especially magnificent array this year. A mild summer with rain early on, and tapering in the later months has set the stage for near perfect foliage, according to Jim Salge of Yankee Magazine. In fact, he claims "It's the most optimistic forecast I've had in a couple of years! With foliage set to peak in our area at the end of September and early weeks of October, we have a lot to look forward to this year. There are lots of fun fall activities for the entire family that will allow you to really take in the color. Some of our favorites include apple picking, pumpkin picking, foliage hikes and family corn mazes. We'd love to see photos of the foliage in your area! Please send photos to our Marketing Director to be featured on our Facebook page!